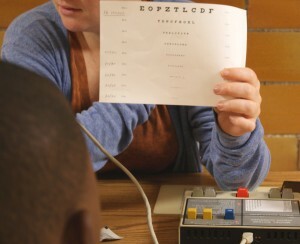 The Lighthouse Foundation works with a network of Lions Clubs and other volunteers to conduct vision and hearing screenings at schools, community centers, and events throughout the state. We utilize cutting edge devices to identify visual acuity, risk for eye disease, and any hearing loss they may have suffered. If a person does not pass the screening, they are referred to our Vision or Hearing Programs for follow-up care.